The 7th Annual Jail Medical and Legal Issues Training sponsored by Advanced Correctional Healthcare, KCAMP and the National Institute for Jail Operations will be held March 12th and 13th, 2019 at the Ramada Convention Center in Topeka. To reserve your room at the Ramada Inn please call 785-234-5400 and ask for the KSA Jail Training Room Block. Rooms are $89 per night plus tax and include breakfast. The March 12th, 2019 training will be on Legal Issues in Jails and sponsored by the National Institute for Jail Operations. 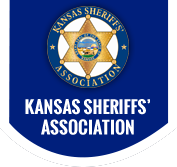 For the March 13th, 2019 training agenda, please click here: 2019 Kansas Jail Summit Agenda. Attendee online registration is now closed, but on-site registration will be open on Tuesday, March 12th at 8am. The Kansas Jail Training Academy is offering this extensive five-day curriculum filled with training specifically for detention officers. Using NIJO trained instructors, we have collaborated with the Kansas Jail Association to ensure the primary topics needed for line level staff are thoroughly addressed, including complete testing on the material covered so that administrations have documentation of the attendee’s comprehension to these critical subjects. Price includes all lodging and meals for the duration of the academy. Space is very limited, so we encourage you to register as soon as possible. If your agency is sending more than 5 attendees at once, please contact NIJO directly and we can assist with bulk registrations. Please note that both trainings will now be held at the Kansas Law Enforcement Training Center (KLETC), 11009 South Hornet, Hutchinson, KS 67501. We sincerely appreciate the opportunity to work with you and train your detention staff. The challenges most jails face of being short-staffed and dealing with turnover cannot be overstated, which further emphasizes the necessity of investing in our #1 resource in the jails – our staff. Thank you for supporting those that work in your jails by sending them to this training.